There are 16 regions of New Zealand, and during my trip I’ll be visiting 15 of them (I’m saving the Taranaki region for my next visit). 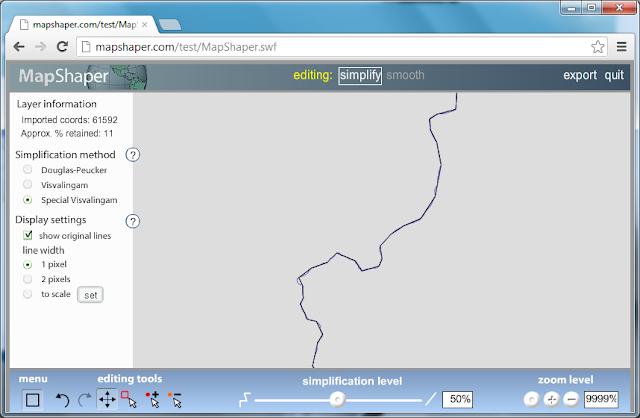 This blog post shows how you can download and simplify region boundaries, and add them to a map as an interactive layer. The region is the top tier of local government in New Zealand. Eleven are governed by an elected regional council, while five are governed by territorial authorities (the second tier of local government) which also perform the functions of a regional council. The current regions came about in 1989, when they replaced more than 700 boards which had been formed in the preceding century. 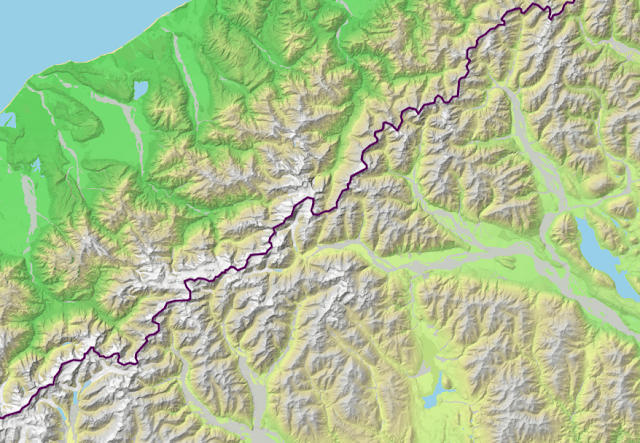 The geographic extents of the regions are largely based on drainage basins, following drainage divides such as the Southern Alps. The dataset I’m using is from Statistics New Zealand, the national statistical office. Koordinates.com has made life easier by collecting geographic data from Statistics New Zealand on their portal. I’ve downloaded a polygon dataset from the last census in New Zealand (2006). The dataset includes more than 60,000 coordinates used to draw the boundaries for each region. As I’m going to display the vector data directly in the web browser, I should simplify the dataset by reducing the number of coordinates while preserving the shape of the regions. Leaflet has built-in support for vector simplification (to make the map more responsive), but you shouldn’t rely on this alone as the data still has to be loaded and processed by Leaflet. You can do vector simplification with QGIS (Vector -> Geometry Tools -> Simplify geometries), but there is a better tool, MapShaper (about), which gives you more options and preserves topology (shared borders). 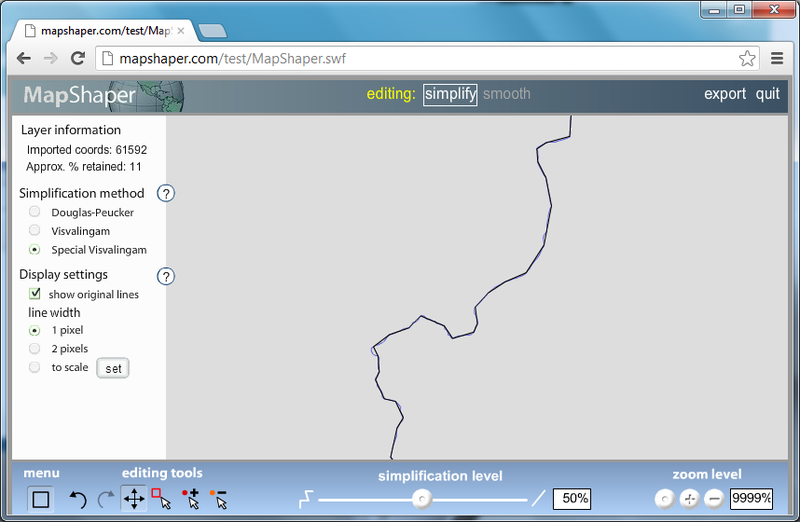 I loaded the shapefile into MapShaper and set the simplification level to 50% using the Special Visvalingam method. This will reduce the number of coordinates by 90%, but you still have to zoom in very far to see the difference. By restricting the number of coordinates (COORDINATE_PRECISION=3) to the map scale or number of zoom levels, you can further reduce the size of the dataset. May I get a copy of your geojson file? Thanks a lot!